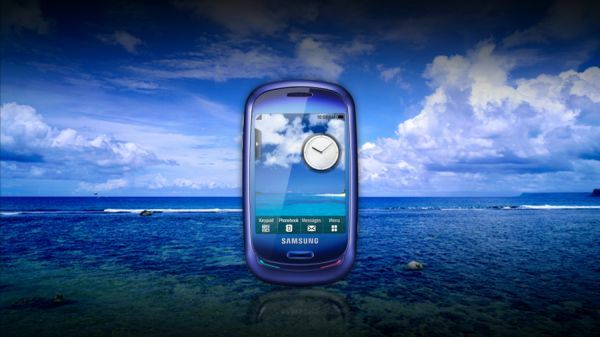 Today Samsung unveiled the first solar powered Full-Touch Phone, the Blue Earth. As you can guess, it features a solar panel, located on the back of the phone. According to the Korean manufacturer, it generates enough power to make calls anytime, anywhere. The Blue Earth is also equipped with an ‘Eco-Mode’, for setting screen brightness and backlight duration, and a Bluetooth energy efficient mode. This eco-friendly phone features an “Eco-Walk” function featuring a pedometer for calculating CO2 emissions reduced by walking as opposed to motor transport. ‘Eco-Walk’ will also tell you how many trees you saved! the phone looks good, full touch screen, decent size, etc. It looks to be running android though the blurb text does not mention Android. Have to keep an eye on this one. It has potential.